You can find us here…. At AC – IT Repairs we are dedicated to get your Laptop, Desktop PC or Printer back to you as soon as possible and in perfect working order. We are a very friendly and Professional Family run company that delivers on quality. We will come to your home or business for a repair, install etc… If it cannot be fixed onsite we will take it away and return it to you at the earliest opportunity. With our experience in Customer care and call-handling we deliver exceptional care and support for your product/s. AC – IT Repairs provides business computer support for businesses or home users in West Kent, East Sussex, and Surrey. We offer the highest level of Customer support and technical expertise for all aspects of your home or business computing requirements. Supporting your business is our business, so we bring our unrivalled technical expertise to our Customers along with something almost unheard of in the computer service industry; excellent and knowledgeable customer service. We aim to contact Customers with a SLA (Service Level Agreement) within an hour of a call or e-mail request being made. We aim to fix in 8 Hours. Obviously sometimes things can take longer. This can depend on parts being ordered or Installs/Re-Installs and Data-Recovery. We will always provide you with every detail, every step of the way! So with this in mind, you can depend on us! If you want that personal touch and for a family run business to go that extra mile, then why not give us a call on 01892 611670 or contact us via our email address at helpdesk@ac-itrepairs.co.uk or use our Contact page. We look forward to hearing from you and working to resolve your IT issues. 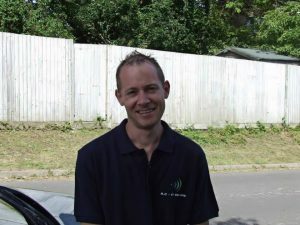 Hi, my name is Andy Cook and I am the owner of AC – IT Repairs. I have over 20 Years of experience within the IT Industry. With my years of experience I am sure I can bring my Knowledge to help you out as the Customer and give you a good quality of Service. I have spent over 20 years in the IT Industry dealing with break-fix, fault finding & PC, Laptop, Server and Printer Repairs. I am CompTIA A+ and HP Certified. Please have a look at our Services page for everything we offer….. Here are what some of our many happy Customers have had to say……. “I’ve known Andy Cook, Founder and General Manager of AC – IT Repairs, on a personal level for several years. His enthusiasm and passion is second to none, as demonstrated by the smile he always wears. He takes pride in everything that he does and his desire to ‘see the customer good’ is a reflection of his commitment towards a service-centric approach.